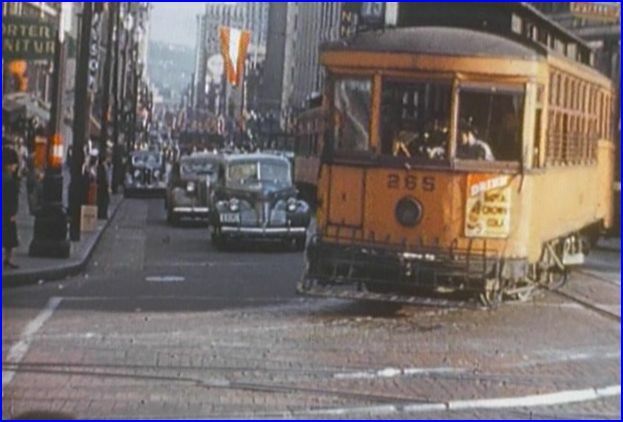 Time Period: 1950’s – 1970’s. Unusual package of classic, 1950’s- 1970’s era films. The Milwaukee Road is the main attraction. 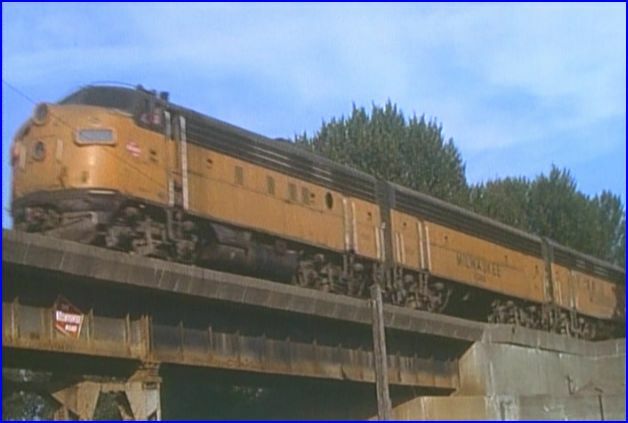 Only 20 minutes is devoted to Milwaukee Road in the Pacific Northwest. 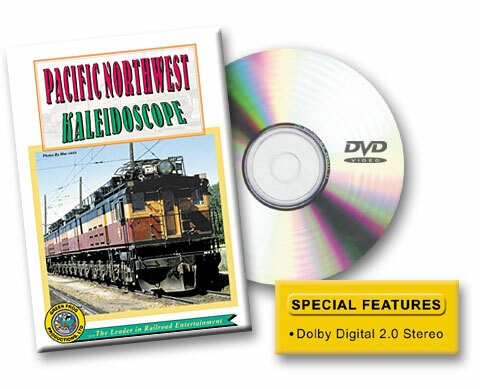 This feature is an excellent collection of 16mm color film. Additional subjects are as listed within this review. An action packed program containing a variety of subject matter. The show opens with Milwaukee Road’s electrified Cascade trackage, and some great shots of the ‘under the wires’ action. The narration is well performed. Scene locations are announced during the show. No maps. This release was before common usage of some expected extras. 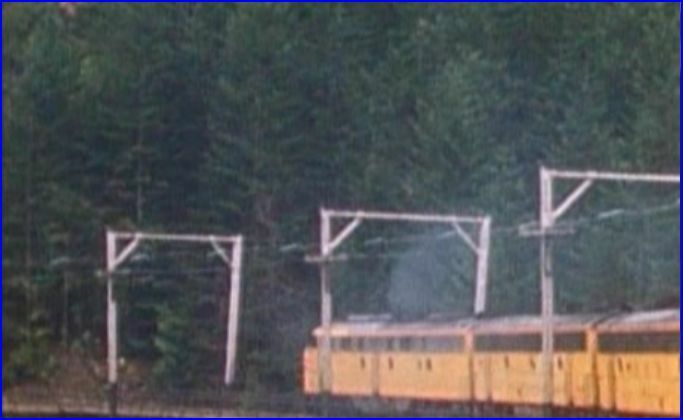 Hiawatha passenger trains, in UP style paint. Snoqualmie Pass, as filmed from a passenger train, is awesome! Boxcabs are shown in breathtaking scenery. 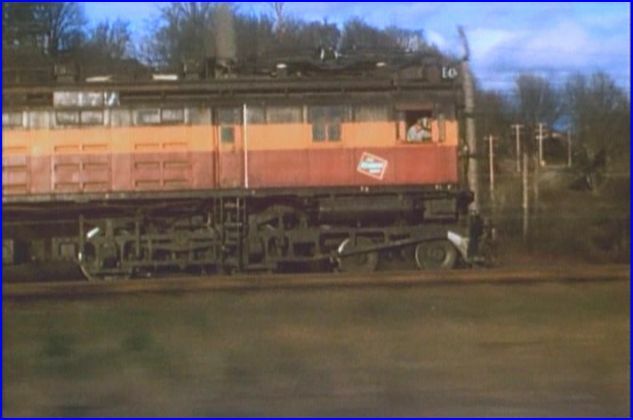 We move onto diesels and find this is 1970’s era – not the 60’s, as advertised. The billboard lettering gives that away. It’s all good, the footage is compelling, given the scenic area. Renton has street running, before and after, the wires came down. 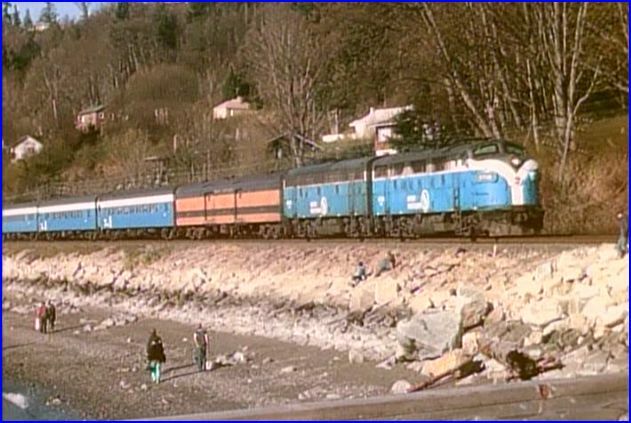 Pacing sequence on the Pacific Coast Division. 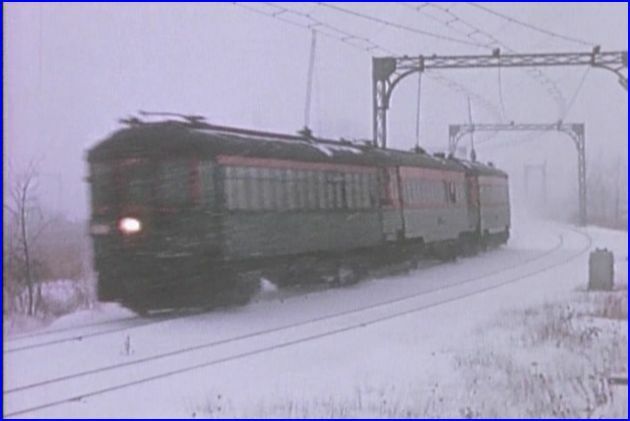 Power is mainly classic, first generation locomotives. F7, GP7, GP35, SW7. Also, SD40, GE U series, and more. Those long, 6 or more, lash-ups of covered wagons are a sight! 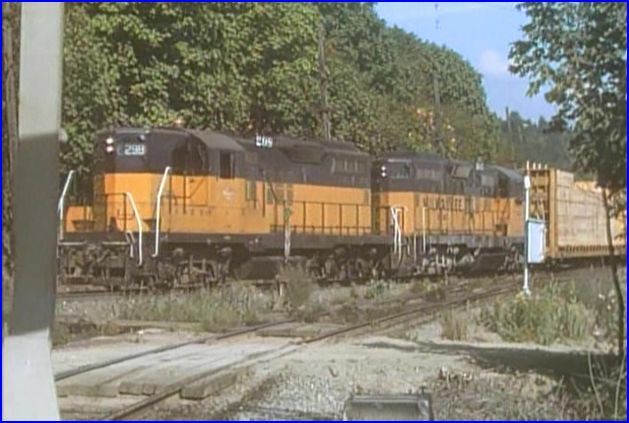 Milwaukee Road log trains are viewed at Bellvue, Washington. We move to a freezing cold snowstorm in the Chicago area. January 21,1963. Final day of North Shore Line interurban. 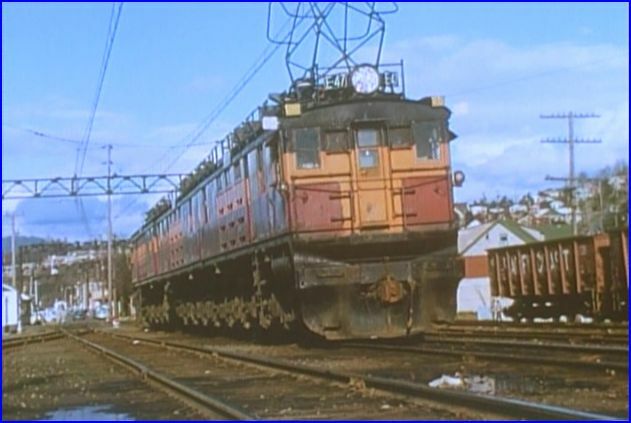 Electroliners were the best of North Shore Line. Silverliners mix with older equipment, as well. Milwaukee is also visited with the North Shore service. 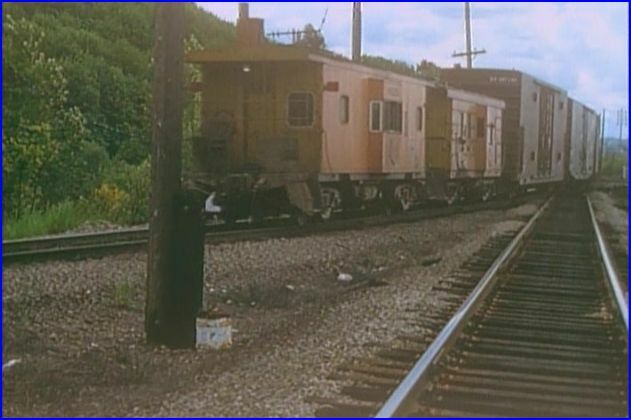 At Kenosha, former Oregon Electric Railway units are filmed in operation. 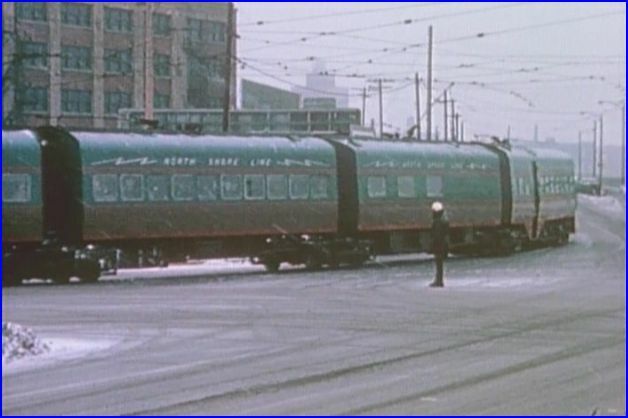 Classic, Omaha Orange and Pullman Green in the Empire Builder livery. 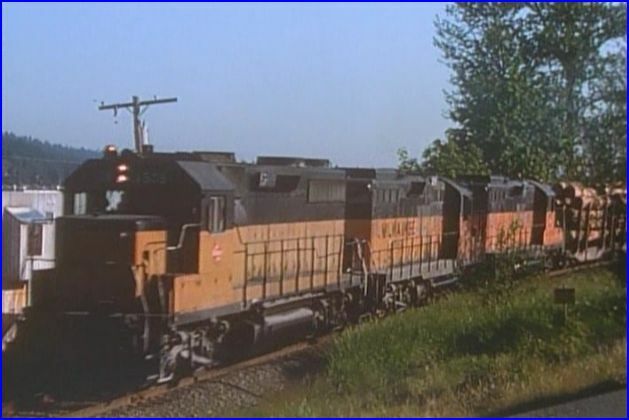 Back out west, Great Northern, Union Pacific, Northern Pacific and early Burlington Northern passenger trains. 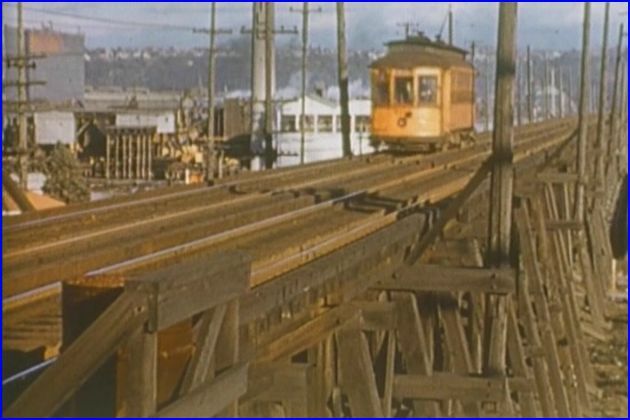 Seattle,a fascinating segment of Seattle city trolleys. Time machine type of film, pre-1940! Vintage automobiles, men in suits and private right of ways. 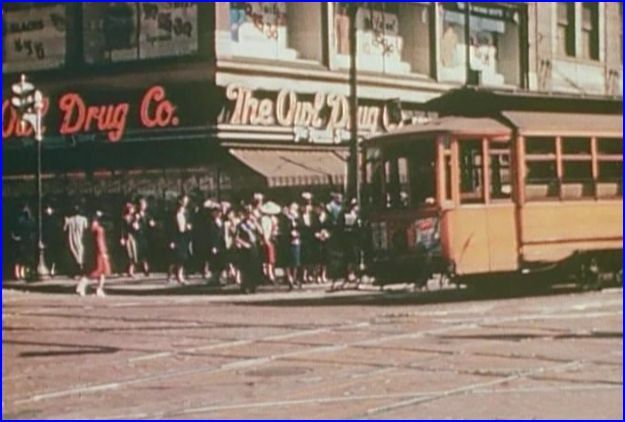 Rare cable car footage in the Seattle. Spokane Street Elevated. A sawmill in the background. Today, a freeway occupies the site of this old scene. Yakima Valley and other traction. More traction and buses then I ever need. Original 16mm film yields a high quality program. The original, stereo sound is superb. Narration is excellent. Outstanding production. Just would have liked more standard gauge railroading. This show has something of interest for many types of railfans. This entry was posted in ATVR Reviews, Green Frog Prod. 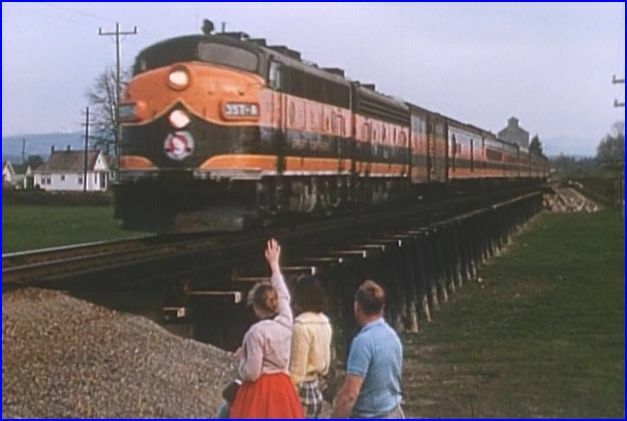 and tagged American Train Video Reviews, Burlington Route, Chicago railroad, electric, Great Northern, Milwaukee Road, Railroad, Train DVD, trolley by William J. Hudson. Bookmark the permalink.